Available Color: Black, Magenta, Cyan, Yellow, etc. 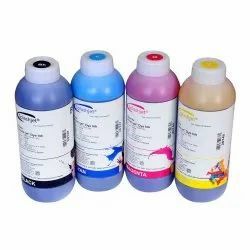 Sublimation Ink With the rich industrial experience, we are bringing forth a wide array of Sublimation Ink. This Sublimation Ink is available in variety of colors as per the customer’s requirements. Further, our Sublimation Ink provides effective printing due to its world class standard. Sublimation Inks offer high release, vivid color transfers, high resolution images, easy transfer process, personalised printing and much more. Digital sublimation ink suitable for epson printers and epson piezo electric print heads. as well as usage for refill ink in HP and Canon cartridges. It comes in 100 ml each packaging. We provide wide range of SUBLIMATION INK chemical. Our reputed entity is engaged in supplying Heat Transfer Sublimation Ink. With the valuable assistance of expertise and sincerity, we are offering best quality Sublimation Ink. - Color sharpness, high resolution, lifelike image after transfer. - Print on plain paper or professional sublimation transfer paper. - Good scratch resistance and washing resistance. - Suitable for piezo-electronic printers. Banking on our enriched industry experience, we are able to supply Heat Transfer Sublimation Ink. We are one of the proficient traders of a quality range of Sublimation Ink. 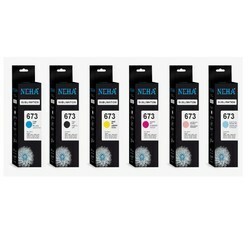 These inks ensures quality printing and are capable of printing colorful prints that do not fade away. Further, these can be refilled easily into the cartridges and can be used for heavy printing jobs in various industries. Also these can be availed at pocket friendly prices.